Is my goal to have fun and finish, or finish as fast as possible? What is my motivation to finish? Anyone can finish a Spartan Race if they want it bad enough. If you’ve been around the sport long enough, you’ve heard of or seen people with disabilities finish, as well as people of all different ages and fitness levels. The key thing anyone who finishes has in common is a dedicated goal to finish, and some kind of motivation to keep them going when Spartan begins to fight back! If you are looking into how to train for Spartan Race, a good place to start would be to understand what you’ll be up against. Check out our list of Spartan Race Obstacles for some of the challenges you might face in your next Spartan Race. You’ll find people on both sides of the fence as far as what is most important: strength vs. endurance when it comes to a Spartan Race. Strength will come into play when you are trying to take your results to the next level, but Spartan Race training for beginners should begin and end with endurance building. In fact, even veteran Spartan Racers should do everything they can to increase their endurance. 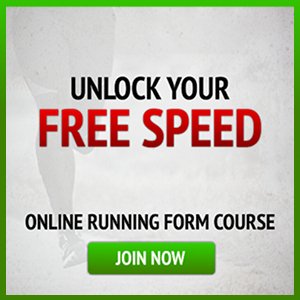 You don’t have to go fast, but begin logging miles and try to increase the amount of miles you run each week. Get comfortable pushing yourself a little bit further each week, and you’ll have the biggest building block in place for Spartan Race dominance! There are a lot of things that you’ll face in a Spartan Race that will require you to have good grip strength — monkey bars, heavy carries, climbing, and traverse walls will all test your grip, especially when weather is a factor. One of the best things you can do is get some grip strengtheners and keep them in your car, at your desk, or next to the remote and just squeeze. Another great exercise to improve grip is to hang, letting your body weight work your grip. You can use a pull up bar, or find a playground near you and hang from the monkey bars. Time yourself, and see if you can improve on your best time! I learned a lot early on when I began running in Spartan Races. I came from the running world, and had a decent amount of strength, but I learned pretty quickly that you either need plenty of upper body strength to get over an eight-foot wall, or you better have good technique. A great Spartan Race workout for beginners who are trying to build strength would be mastering the pull up. Very few exercises will prepare you for all of the strength obstacles like being able to go from a dead hang and perform a good wide-grip pull up. Leg strength is another key component to Spartan Race training, and the gold standard move for any Spartan Race workout that will build core and leg strength is the burpee. Bend your knees and place your hands on the ground while kicking your feet out behind you so that you are in a pushup position. Beyond strength and learning to love the burpee, you will want to work on technique. For the purposes of this article, there is too many obstacles that require different skills, but do your research and find some Youtube videos of some common obstacles like scaling walls, traverse walls, and other Spartan Race obstacles. The best way to ensure that you don’t put off training is to sign up for a race, put it on your calendar, and begin the countdown. When you have a date you have to accomplish a goal by, you are more likely to take action toward completing that goal. Remember, the best thing you can do for how to train for a Spartan Race is to get ready mentally, work on your endurance and technique, and improve grip. Beyond that, just have confidence in yourself! AROO!